Beginning with the 2013/2014 school year, The Western Missouri/Kansas Chapter of SIOR began granting the Olen Monsees Memorial Scholarship. 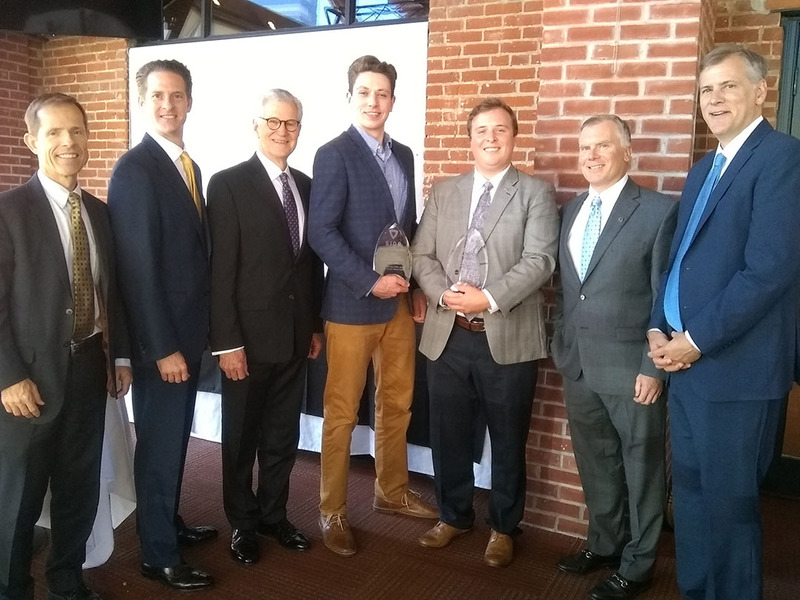 This is a one-time scholarship in the amount of $5,000 granted in order to honor Mr. Olen Monsees’s long and distinguished career in Kansas City commercial real estate. The grant is intended to honor Mr. Monsees’s legacy and provide much needed support to a qualified student in the Lewis White Real Estate Center at the University of Missouri-Kansas City (UMKC). Must be a current or incoming student for the current scholarship year. student’s undergraduate degree work of 3.0. High level of integrity and a demonstrated history of philanthropic involvement. No applicants that are currently working full time for a commercial real estate firm shall be considered, however, they can have done so in an internship role. The Chapter shall give preference to applicants that intend to apply their knowledge and training in the Greater Kansas City metro area with a local firm. Applicants should demonstrate current or previous involvement in extracurricular activities that add to the student’s learning. The Scholarship Selection Committee of the Western Missouri/Kansas Chapter of SIOR, made up of the Chapter’s current President, Vice-President, Treasurer and Scholarship Committee Chair, shall retain the discretion to adapt the criteria, as mutually determined by the Committee and the Lewis White Real Estate Center, in the event of an exceptional candidate that meets most but not all of the criteria stated herein. Pictured above left: 2018 Olen Monsees Scholarships awarded to Jordan McMurray and Kevin Miller (in the middle). Also in photo, Chuck Connealy, Zach Hubbard, Chuck Connely, and Mike Mitchelson (from left to right). 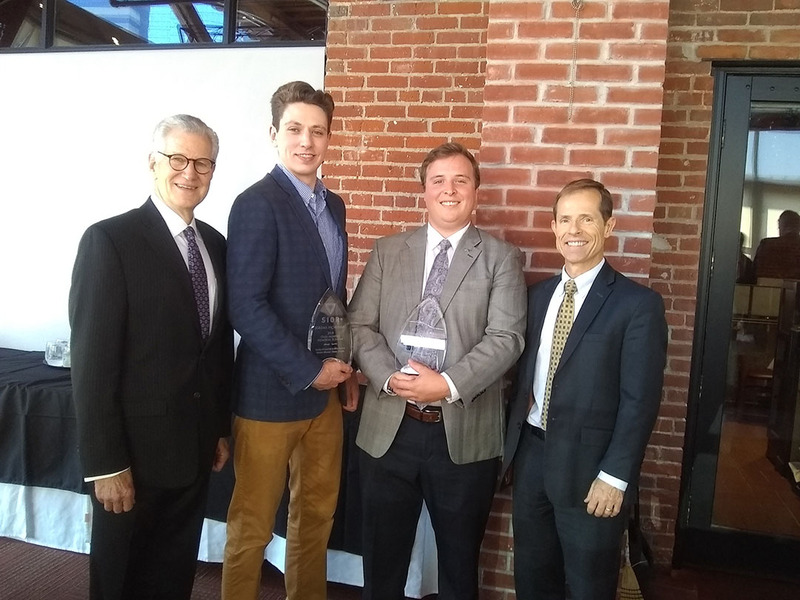 Pictured above right: 2018 Olen Monsees and Mary Riley-Cheek Scholarships awarded to Jordan McMurray and Kevin Miller. Also in photo, Chuck Connely and Chuck Connealy. Pictured above left: 2017 Olen Monsees Scholarships awarded to Malik Brown and Yianni Vrentas. 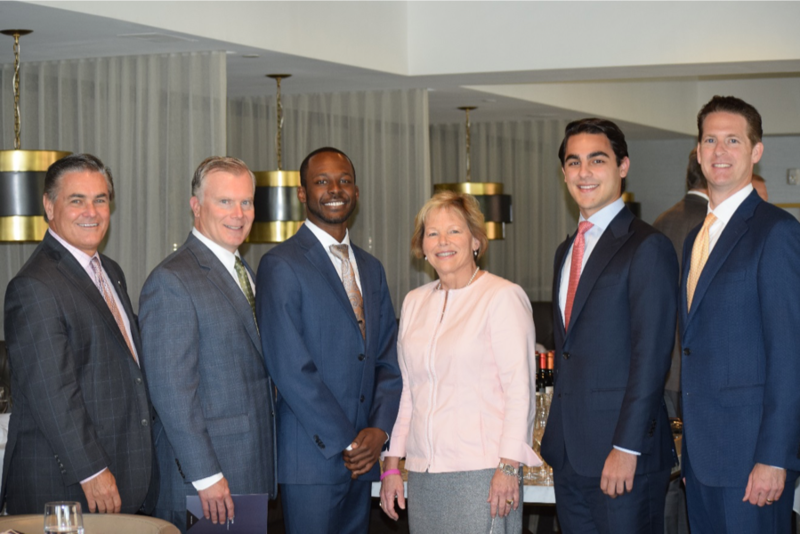 Also in photo, SIOR Global President, Del Markward, Vice President John Coe, Malik Brown, President Debbie Schulte, Yianni Vrentas and Treasurer Zach Hubbard. 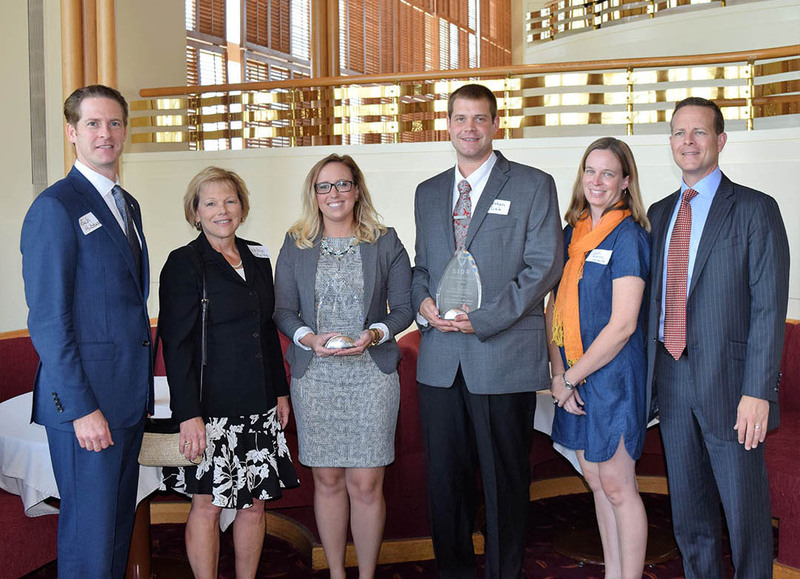 Pictured above right: 2016 Olen Monsees and Mary Riley-Cheek Scholarships awarded to Christina Fenwick and Jonathan DeLisle. Also in photo Treasurer Zach Hubbard, Vice President Debbie Schulte, Christina Fenwick, Jonathan DeLisle, Sarah Monsees Feidmills and President Nathan Anderson. Finalists for this scholarship must be available for an in-person interview with the Scholarship Selection Committee and for presentation of the scholarship at the annual SIOR Development Day Luncheon.